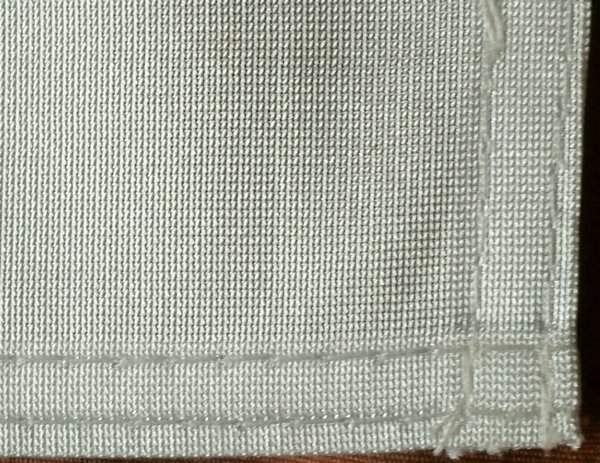 OUR CUSTOM FLAG MATERIAL IS BETTER THAN EVER! 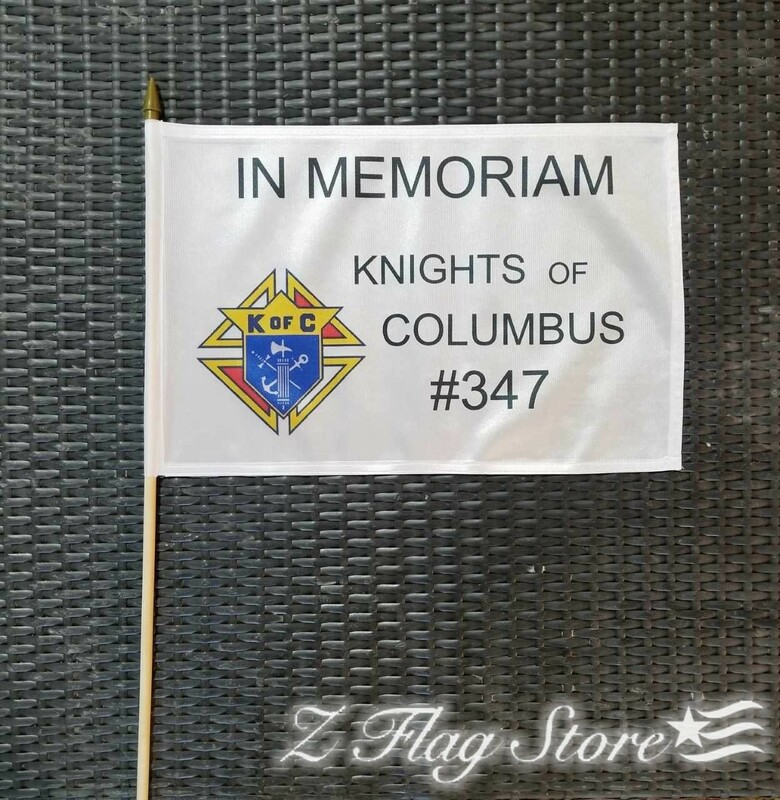 Custom grave flags are made of the highest quality polyester material. They are 12 x 18 inches on a 3/8 x 30″ inch wooden dowel with a spear top. 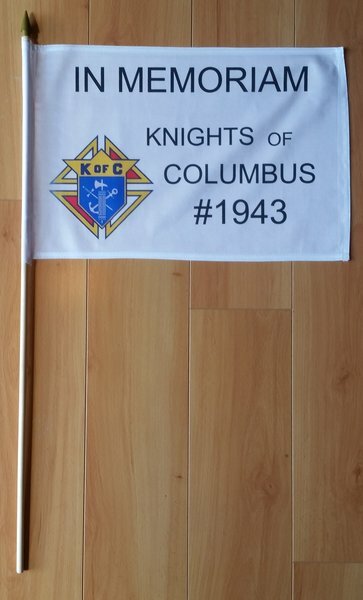 We use the highest quality ink and digital printing to make these flags a stunning piece, you can be proud of. These flags can follow our standard template, or can be completely custom. Please include your council number when ordering.